Workers’ compensation insurance protects employees who are injured on the job, regardless of fault. If you suffered from an injury during the course of work, you have the right to file for workers’ compensation benefits and obtain a timely response from your employer and insurance company. At DiMarco Araujo Montevideo in San Bernardino, we understand the complex nature of filing for insurance benefits. Employers and insurance companies sometimes provide little assistance and others purposefully bar an employee from pursuing fair compensation. Our team is ready to help injured workers with every aspect of the workers’ compensation process. Our workers’ compensation attorneys have been helping people recover from work injuries and become whole again for over 30 years since our practice began in 1979. From our experience, even though employers are required by California’s employment law to carry full workers’ compensation insurance, it usually is never easy to get your full and fair recovery. Determining your eligibility and the value of the compensation you are entitled to receive creates complex legal issues and “grey areas.” Naturally, your employer’s workers’ compensation insurance company’s objective is to minimize the amount of compensation it pays to injured workers and the length of time they have to do it for. They use the complexity of the system to help them decrease their payout packages. 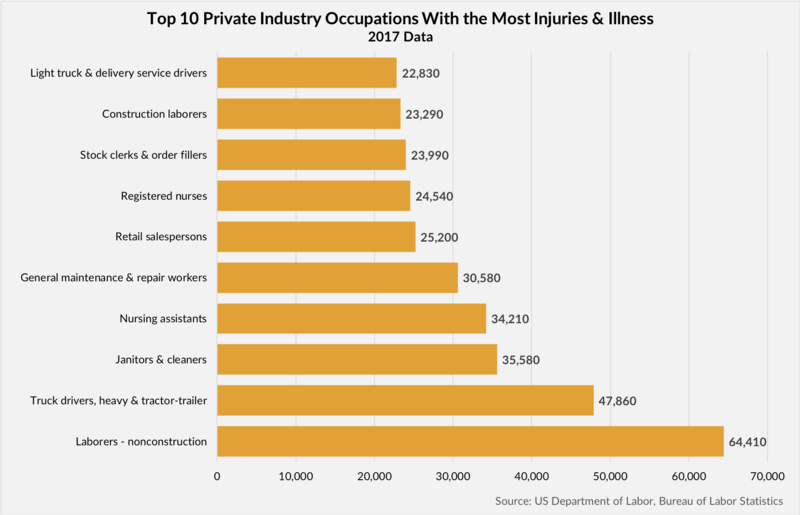 This is because, with long developing work injuries or sudden work injury events, it is not always easy to determine which parties are to blame and for what share of that blame. Getting the full and fair compensation you deserve usually requires the assistance of an experienced San Bernardino workers’ compensation lawyer. Our ongoing job is to keep up with the changing laws, know the applicable codes and know how the insurance companies try to get around the law. Situations that require simultaneously conducting a California workers’ compensation claim and a civil Third Party work injury claim are complex and delicate because the two claims are intertwined and parallel. A mistake in either of the two claims may cause your rights to compensation under both claims to become limited. San Bernardino California Workers’ Compensation lawyers at DiMarco | Araujo | Montevideo have been handling these dual workers’ comp and civil work injury claims since 1979. How Do You Qualify for Workers’ Compensation in San Bernardino? In the state of California, every employer with at least one employee must carry workers’ compensation insurance. The employer can either purchase a policy from an insurance provider or qualify for self-insurance. To qualify for workers’ compensation benefits, an injured worker needs to file an injury report at work within 30 days of the incident. In cases of repetitive injuries, an employee has 30 days from the time he or she experiences the onset of some type of disability as a result of the injury. Talk with an attorney if you have missed the deadline for filing an incident report. You may still have the opportunity to file a claim. Within one day of filing a claim, your employer should provide you with a workers’ compensation claim form (DWC-1). Submitting this claim form will open a new workers’ compensation case with the state. You have one year from the time you filed an injury report to file your workers’ compensation claim. If you suffered an injury on the job, at the office or elsewhere, you may be entitled to workers’ compensation benefits. Typically, you will need to prove the injury disrupted your life or work in some way. Bumps or bruises that do not require medical treatment will most likely not qualify. Why Would Injured Workers Need Legal Assistance? Some employers are very helpful after an employee suffers an injury, but some are not. Employers are responsible for providing a certain level of support and information to injured workers. When they fail to do so, they wrongfully prevent an employee from obtaining benefits. Our firm represents clients who take legal action against employers for failing to comply with workers’ compensation laws, for engaging in acts of workers’ compensation retaliation, or for failing to provide a reasonably safe workplace for employees. We also hold workers’ compensation insurers accountable when they act in bad faith. Injured workers are entitled to the full scope of benefits that apply, and some insurers try to twist the facts and pay employees less than they deserve. In some cases, we may also pursue a third party claim against a product manufacturer, a technician, or another company involved in an accident. At no up-front cost to you, DiMarco | Araujo | Montevideo provides the best legal representation in work injury and work accident cases, on a contingency fee basis. This means that we do not take a fee until you receive compensation. You will not incur any legal fees or costs for our time and assistance unless we do our job and earn you a trial verdict or settlement. We have every incentive to maximize your recovery.